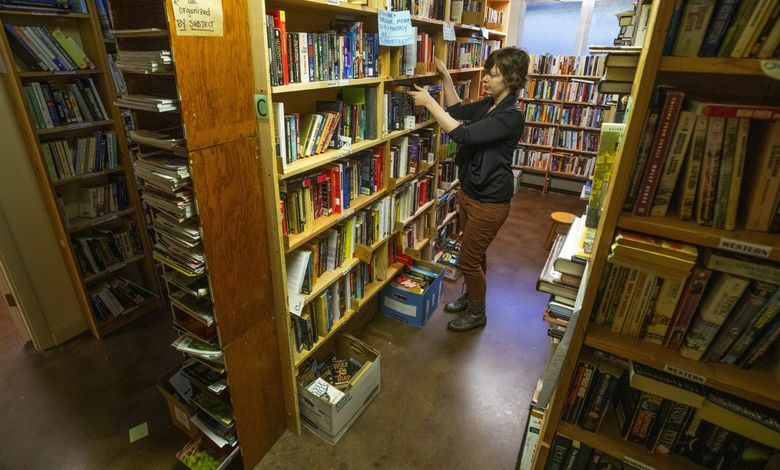 OLYMPIA – The ban on used books entering Washington prisons via nonprofit groups has been lifted. After an outcry by a Seattle nonprofit and questions from state lawmakers and Gov. Jay Inslee, corrections officials Wednesday reversed their recent ban against organizations mailing books to prisoners. The Washington Department of Corrections (DOC) last month quietly posted that policy, citing fears of contraband in prisons. Defending their decision last week, the agency cited 17 instances of contraband involving books last year. But information requested from the agency last week by The Seattle Times and reported Wednesday morning showed that a dozen of those instances actually had nothing to do with books. Only in three of those instances did prison officials discover contraband in books. None of the accounts of those three instances indicated that contraband had originated from outside the prison. In a memo released Wednesday, Robert Herzog, a DOC assistant secretary, acknowledged the flawed data. Nonprofits such as the Seattle organization Books To Prisoners have for decades sent used books to offenders who write to them asking for certain titles or types of publications. The ban would have left used publications to come in through the state library system. Overseen by the Secretary of State’s Office, that program stocks prison libraries – but did not have extra funding or a plan fill to the void. After the ban gained wide notice early last week, it drew criticism from Books To Prisoners, and questions from lawmakers and Inslee. Several news organizations covered the controversy, including The Stranger, which broke the story. Last Wednesday, Inslee said he told DOC to find a way to work with the nonprofits to get books to prisoners. “Most of these folks are going to become our neighbors and we want to reduce recidivism rates, and education and the like is very, very important,” Inslee said at the time. The governor this Wednesday was out of state for his presidential campaign, including a CNN town hall. But his office reacted favorably to DOC’s reversal of the ban. “We’re very glad to see the program is back in effect,” Inslee spokeswoman Jaime Smith wrote in an email. The department last week defended its ban, citing a rise of contraband in the prisons. But the agency said it would meet with nonprofit groups about finding a way for prisoners to get books. Last Thursday – about 24 hours after The Seattle Times requested details of the 17 instances of contraband involving books – DOC Secretary Stephen Sinclair ordered a review of those cases. Sinclair also vowed the agency would make sure donated books got into the prisons through some means other than the state library system. In examining the contraband issue, DOC conducted a database search of incidents by using keywords such as “books” and “contraband,” according to the agency. Another involved a shank that an offender found on a bookshelf at the Washington Corrections Center in Shelton, Mason County. The prisoner alerted a corrections officer. The data also turned up three instances of what were suspected to be drugs in prisoners’ books, including what was believed to be marijuana, heroin and an opioid known as Suboxone. The fifth incident included a prisoner with a book and contraband — including pornographic photos, suspected narcotics and a tattoo gun — but it was unclear whether he had concealed any of that in the book. Books To Prisoners, in a statement on Facebook, called the new memo reversing the policy “insufficient” and said DOC still has too much control over books entering prisons. It cited a policy in the memo that still allows prison superintendents to approve or deny certain nonprofits from sending reading materials to their prisons.